We believe that robotics can contribute in addressing major societal problems, such as climate change or food shortage. But robots will be of great use in everyday life as well. For example, take fire-fighters. They can profit from the deployment of robotics, both in ways of safety and by means of gathering intelligence. All you need are cheap little drones you can buy at the local toyshop. Fire fighters are more and more interested in robots. 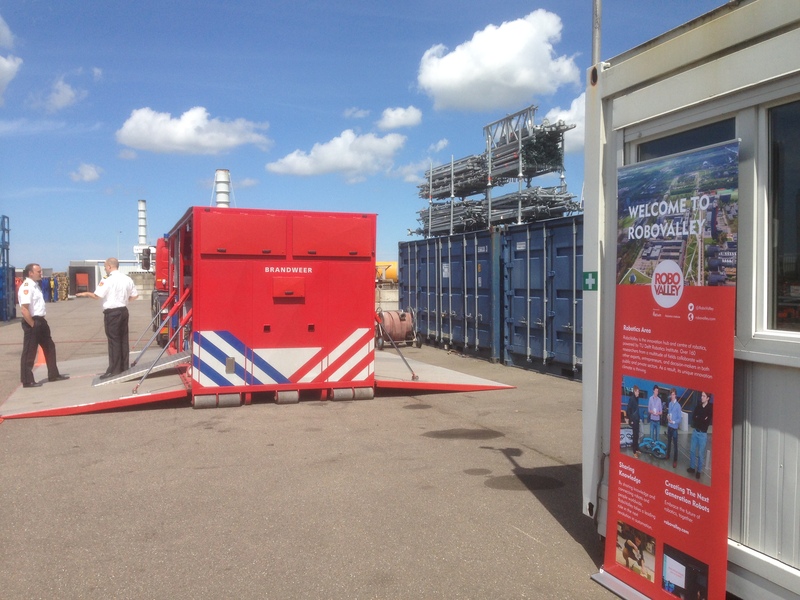 Last week, the Amsterdam Fire Department organised an expert meeting about robotics at their training facilities nearby Schiphol Airport. The Amsterdam Fire Department is the first to experiments with robotics; as of this year the department uses a robot fire-extinguisher: the SCARAB. RoboValley and TU Delft Robotics Institute were invited, and during the day Tim Kiefte from our RoboValley Master Team and Christophe De Wagter from TU Delft Robotics Institute welcomed several fire-fighting professionals at our stand. De Wagter had brought with him several drones from MAVLab, as well as the Zebro, which he all demonstrated. During the introduction, the Amsterdam Fire Department made it clear how they think robotics can be useful: in situations where the deployment of fire-fighters is too dangerous. They showed a case study about a fire in an underground parking garage. Due to the toxic smoke, lack of visibility and cracks in the walls caused by the heat, fire-fighters weren’t allowed to enter the building. With a self-deploying sensor network, fire-fighters can save a lot of time, as the mapping of the area is now being done manually, often by interviewing bystanders. And this extra time can save lives – and buildings. 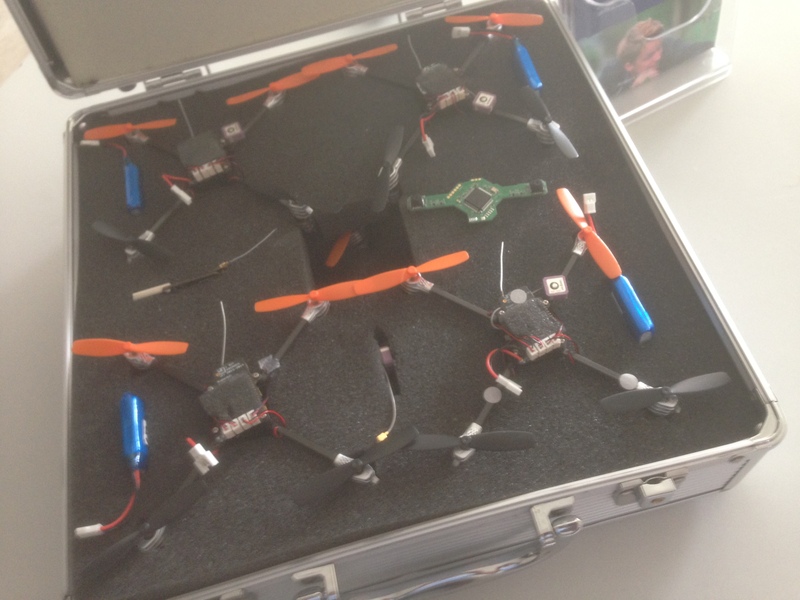 Self-deploying sensor networks are being studied by De Wagter and his colleagues at MAVLab. The use of shared control robotics is also a possible solution. For example, a robotic fire-extinguisher that recognises obstacles and can move autonomously, allowing the fire-fighter controlling the robot to focus completely on extinguishing the fire. An additional benefit is that shared control leads to optimal results. At Delft University of Technology, David Abbink is the expert in the field of shared control. "They easily fit in your truck and are cheap"